These Girls Lost 33 Kgs In 100 Days By Just Changing Their Little Habits. Want To Learn How? There is no denying the fact that everyone wants to look his/her best and for this maintaining proper body shape is considered the best idea. Regular exercising and gym are the two most common ways adopted to get a healthy, fit, and a good looking body. Also, all of us commit to ourselves that we would do our best to look our best but the question is that how many of us keep up with these commitments. We’ve got a live example of two ladies who completely transformed their look by bringing a little change in their habits. Let us have a sneak peek of their story. Cheryl Shaw, 50, is a single mom having two kids and her daughter Tessa, 17, reside in New Jersey and both have struggled with their weight. 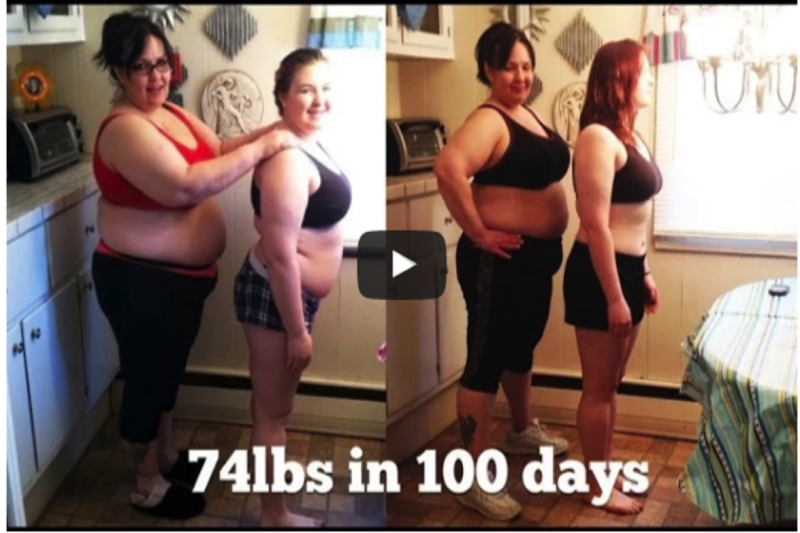 But life took a startling turn when a video documenting a woman’s workout and weight loss became their inspiration and promised themselves to spend 100 days at gym and eat right. Cheryl shared that they were sick of looking the way they used to so they decided to get the weight off and work hard. After 100 days of dedication both of them lost a considerable amount of weight, Tessa going from 186 to 135 pounds whereas Cheryl from 256 to 149 ponds. Their transformation is drastic and worth appreciating! Moreover, this shows that how intimate bond is shared by mother and the daughter. Commendable, Isn’t it? 10 Hyper Cute Dogs With Unique Colored Fur. Cuteness Overload! !